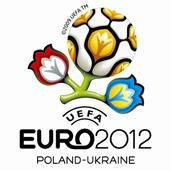 ﻿ EURO 2012 » Late Ukraine in preparations for Euro 2012… Poland will help her! EURO 2012 > Euro 2012 > Late Ukraine in preparations for Euro 2012… Poland will help her! Poland is ready to help Ukraine, if the one won’t be in time with preparations for final championships of the football European championships in 2012 – on Thursday an Ukrainian newspaper wrote in “Siegodnia”, citing the statement of the Polish minister of sport, Mirosław Drzewiecki. – Theoretically everything is possible, although today it is (defeat of Ukrainian preparations for ME 2012 – PAP) unlikely, improbable. But if something happens, we are ready to think about different plans – a, quoted by the daily newspaper, being responsibility of the richest Ukrainian, the owner of the football Szachtar club minister said Donieck, Rinata Achmetowa. Writing Ukrainians about delays in preparations for the Euro to 2012 “Siegodnia” resembles appearing in the media and denied by Ukrainian sports activists rumors about the possibility of getting back from Ukraine the right to the organization of championships. Last week the press in the Ukraine described bringing more of the Israeli newspaper “Maariv” which stated, that Poland, being afraid of a defeat of arrangements of the Ukrainian ME part of 2012, she suggested the UEFA, that he would organize championships with Germans. The boss of the Ukrainian Federation of the Hryhorij Surkis Football stated then in the reply that it was “next attempt of the discredit of Poland and Ukraine” as organizers of this prestigious sports party. Towards the end of May president Viktor Yushchenko demanded from government office workers that they presented concrete solutions to the problems connected with the realization to Euro 2012 in the Ukraine, before the visit planned at the beginning of the July of the president UEFA of Michel Platini. In front of Ukraine serious tasks are standing: the improvement in railway lines and roads, the modernization of an airports and construction of hotels, but first of all the modernization of the principal arena of Euro 2012, the Olympic Stadium in Kiev. I hope gov will wake up now (we call that- do it now, not tomorrow). S t o p s t u p i d po l i t i c a l g a m e s.
ukraine should be discredited from that organisation of euro 2012 .nothing will be able to imporve in that country thats a challenge. nothing is done for improvement . only corruption. I don’t know who wrote this article, but the grammar and the context is awful. It just doesn’t make sense in English, it is translated from Polish to English, possibly using Babel of google translate! “in front of Ukraine serious tasks are standing..” – Yoda would be proud.